The Royal Wedding! I didn't wake up for it, but I did catch a little bit of it this morning and have been stalking pictures all day. 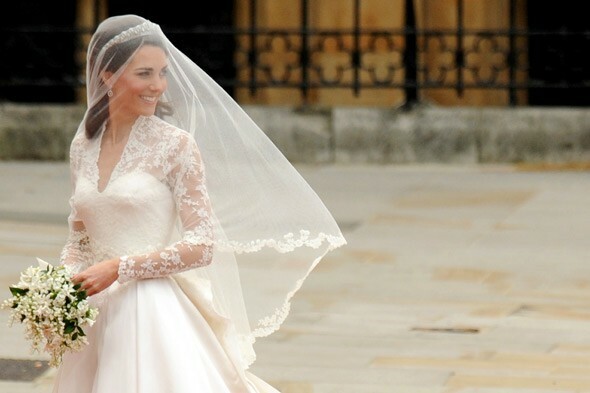 I absolutely adored Kate's dress. It was exactly what I thought she'd wear, and it did look pretty similar to the sketch I posted a couple days ago! She is just stunning and they look so in love! ﻿The tornadoes. My heart is aching for the people who were affected on Wednesday night. Atlanta was lucky enough to miss the big damage, but it's so sad to see friends and neighbors (in Georgia and Alabama) going through this horrific event. Doug and I plan on sending a box of clothes and other goods to Tuscaloosa this weekend...has anyone done this yet and know where the best place is to send items? The Office. I am going to miss Michael Scott so much! I cried all throughout the episode last night, and I just can't imagine how they will ever fill his shoes! The Monster. Yes, we had a monster in our apartment last night. I'm a little hesistant to put a picture of it on here because, honestly, it absolutely freaks me out just to even look at a picture. But to get the full effect of my terror, I think it's necessary. This little gigantic creature was sitting in our bathtub oh, about 20 minutes after I took a bubble bath. He was probably 3" long and 2" wide. I screamed my head off, ran out of the room, then Doug came to kill it. Doug said it hissed at him. It was that big and scary. Now, I am terrified to walk into our bathroom just in case his brother is in there looking to get revenge. If it ever happens again, we're moving. Kate is beautiful. Harry is perfect. You love The Office, too?! We are meant to be friends. I didn't watch the episode yet, but I know I'm going to cry. Steve Carrell was meant for that role. That's really awesome you're sending a box to the victims of the tornado. You and Doug have such beautiful hearts. ...that monster is terrifying. Keep a vigilant lookout. ummmm whatever that creature is.... is super freaky! Ive been stalking EVERY picture and video today of the wedding Oh my gosh! 1. I love love loved Kate's dress! Prefect. 2. I cried during The Office too. The entire time. What the heck is that creature?? That thing scares me to death and now I am looking around making sure it's not somehow here by me now. UGHHHHHHH!! As a tornado victim myself, I just wanna say thank you for your big heart. I live in the town that was hit very hard in alabama. Our house is fine but we had a renter house that is completely gone and where I went to high school is devestated. Pray for us please! Those bugs are nasty wicked. 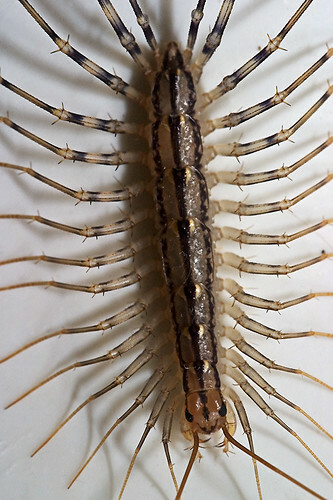 They are called house centipedes and they are totally freaky. I LOL when you said it hissed at your husband...I am not surprised! Oh Julie, why won't those centipedes ever leave you alone?! I'm so sorry! At least now Doug is right there and doesn't have to drive an hour to come kill it haha. omg what is that thing? cause my husband found one coming out of our fireplace this winter. i had a panic attack. seriously.